Egypt’s highest body of judges joined the popular protesters’ condemnation of President Mohammed Mursi’s latest power grab, which undercut the authority of the courts and gave him near-absolute control over the government. Morsi decreed this week that courts cannot overrule his decisions until a new constitution and parliament is in place, achievements which now seem far into the future. His decree also said the courts could not interfere with these processes, which are dominated by Mursi’s Muslim Brotherhood. This prompted the Supreme Judicial Council not only to condemn Mursi’s measures, but to call for a national strike in protest. Granted, the Supreme Judicial Council is filled with judges appointed by former ruler Hosni Mubarak. But the overreach was not overlooked by the public either, who came out in the tens of thousands to protest. 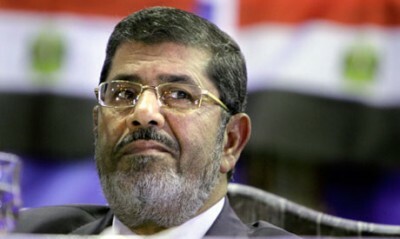 Mursi is in part coming off of a politically beneficial role in brokering the Israel-Hamas ceasefire, in which he worked with President Obama in a way that administration officials have said established trust. The US bears some measure responsibility for these executive overreaches. Not only is the current system in place because of decades-long US support for the Mubarak dictatorship in Egypt, but even since his overthrow, Washington has been sending Egyptian security forces anti-riot gear, crowd control equipment and weaponry. Despite the transfer of power in Egypt and the unsettling hand it dealt to Washington’s foreign policy elite, the US has continued to send about $1.5 billion to Egypt every year, mostly in security assistance, and offering even more in debt relief, apparently as a bribe to keep “American interests” a priority.